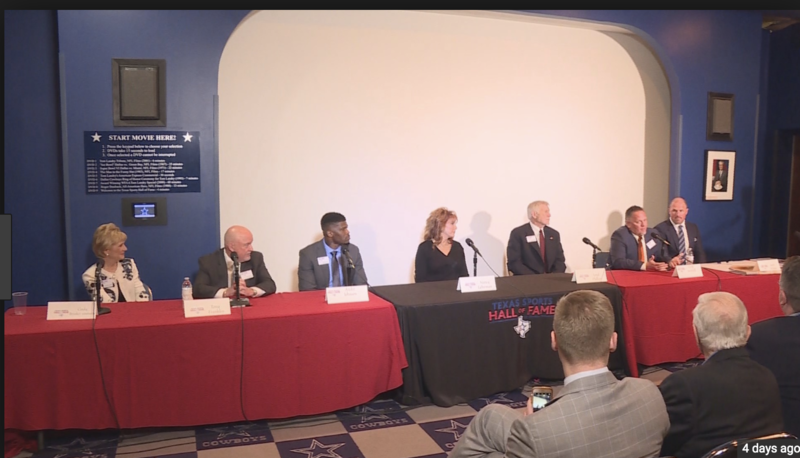 WACO, Texas — Naismith Memorial Basketball Hall of Fame member Nancy Lieberman knows plenty about mounting a comeback in professional sports, and she gave returning Dallas Cowboys tight end Jason Witten advice on the matter Saturday at the 2019 Texas Sports Hall of Fame inductions. “You just have to stay in your lane, do your job,” Lieberman told Witten during a press conference. In 1997, at age 39 years old, Lieberman joined the Phoenix Mercury of the WNBA, and later returned for a seven-day, one-game stint with the Detroit Shock in 2008 at age 50. Former Cowboys cornerback Deion Sanders even consulted with Lieberman, asking her to drive out to his Prosper estate in the middle of the night in 2004 as he wrestled with making a return to the NFL after his last season in Washington in 2000. Lieberman didn’t need to remind Witten about the visibility his comeback would generate. After all, he was a Dallas Cowboy for 15 seasons from 2003-17. What she did tell the All-Pro tight end was that his body would be the litmus test for how successful his comeback would be deemed. Witten said that during his job with ESPN as a color commentator for Monday Night Football, he had a whole year to reflect on his career and how he “probably never appreciated” how much Cowboys fans enjoyed watching him play. While the prospect of playing for “the greatest fans in the world” excites Witten, he also recognized the challenges. Witten will join a tight end room that features Blake Jarwin, Geoff Swaim, Dalton Schultz, and Rico Gathers, a unit that caught a total of four touchdown passes in 2018. While smart money says Witten could be a one-year solution to help Dallas truly bridge the gap between the standard at the position and a young tight end who can truly pick up the TE1 mantle on the depth chart, at least one of Witten’s fans thinks he should make the comeback a multi-season campaign.